The Taiwan Halal Center commissioned by the Bureau of Foreign Trade and established by TAITRA has participated in "The 6th Taiwan International HALAL Expo" this year. The Center has established a Taiwan Halal Pavilion to showcase halal food, cosmetics, household necessities, and health food products and promoted over 50 halal manufacturer brands. Among the participants were numerous well-known brands such as Kimlan Soy Sauce, San Shu Gong Shou Sin Fang Mochi, Talent-food, Tenart Biotech Ltd., etc. ; which have received inquiries from buyers around the world. 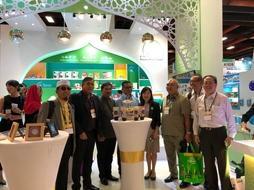 The Taiwan Halal Pavilion has adopted the green decor to highlight the halal industry&apos;s emphasis on health and purity. The splendid Taiwan Halal Pavilion has attracted domestic and foreign buyers to visit and appreciate the halal products displayed such as honey, jelly, drupe snacks, mochi, cookies, masks and skin care beauty products, health care enzymes, and daily necessity products such as detergents. Buyers from Japan, Malaysia, Singapore, and Brunei were highly interested in Taiwan&apos;s halal products; and the Taiwan Halal Center has also taken the opportunities to connect the buyers with the vendors. In addition to the Taiwan Halal Expo, the Taiwan Halal Center has also held the halal vendor and Muslim buyer media exchange event on the afternoon of the 28th to promote more substantial procurement opportunities. Over 15 Muslim buyers as well as professional media from Southeast Asian countries and Japan were invited to conduct negotiation and interviews with the vendors. A variety of Taiwanese halal tea and snacks were also provided to the buyers for sampling during the event. During the 4-day expo period, the Taiwan Halal Pavilion has received endless visits from domestic and international buyers, and the domestic vendors have enthusiastically inquired about the halal certification applications. the Taiwan Halal Center has taken the opportunities from this expo to encourage our vendors to invest in halal certifications and win over halal business opportunities. In the future, the Taiwan Halal Center will partner with the Singapore Global Halal Hub and the MYDIN hypermarket chain in Malaysia (with 60-year history) to introduce the halal products of our nation into their business channels. The Taiwan Halal Center of TAITRA has continued to help Taiwan&apos;s halal industry in terms of exposure and export to the Muslim market. There are still numerous promotional events during the second half of the year. In addition to organizing occasional halal business opportunity seminars, the Center will also set up image booths and implement creative promotional events during the "Kaohsiung Halal Expo" in October and lead the Taiwan halal industry to participate in the image expo in Malaysia. 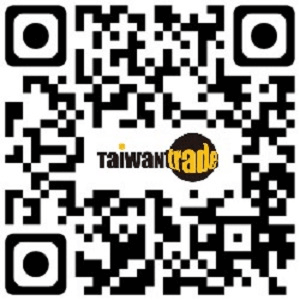 Information regarding to Taiwan&apos;s Muslim friendly environment and the halal certified vendors and products are published in the Taiwan Halal Center&apos;s website (thpc.taiwantrade.com). The website also contains a wealth of information such as halal certification and industry news. Interested parties are welcome to check the information online.